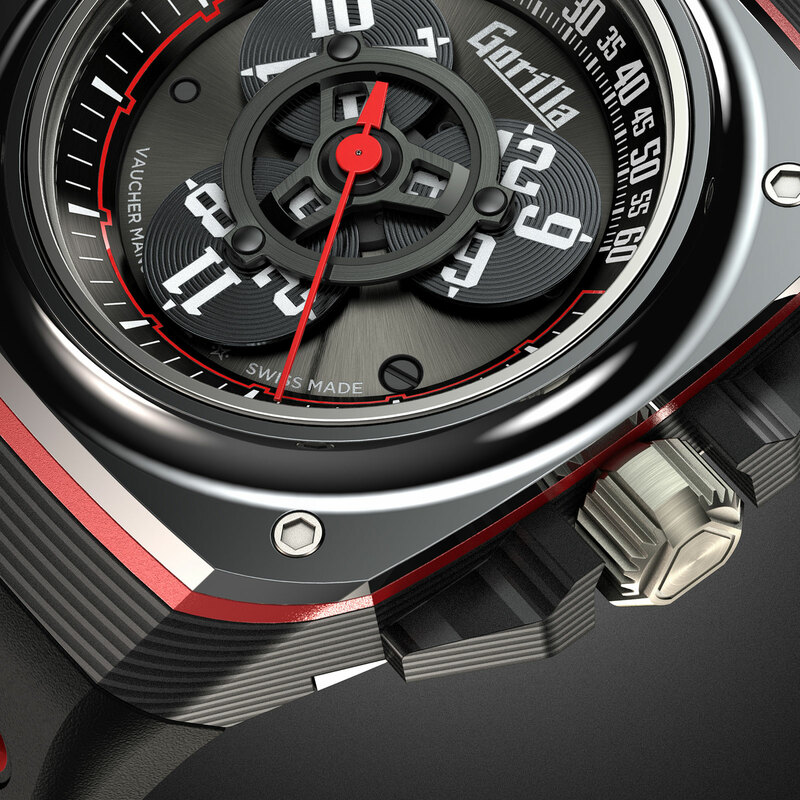 Founded by pair of Audemars Piguet alumni – design chief Octavio Garcia and senior designer Lukas Gopp – Gorilla watches specialises in affordable watches with an automotive bent, typically in materials like carbon composite and ceramic. While its earlier models were simple time-only watches, the Fastback Drift is the first complication from Gorilla. It’s a familiar complication, a wandering hours that displays the hours on three revolving discs that in turn point to the minutes. Found in wristwatches by Audemars Piguet (where it was known as the Star Wheel) and Urwerk, amongst others, the complication actually dates to 17th century clocks. The Fastback Drift, however, is markedly more affordable than most comparable watches. 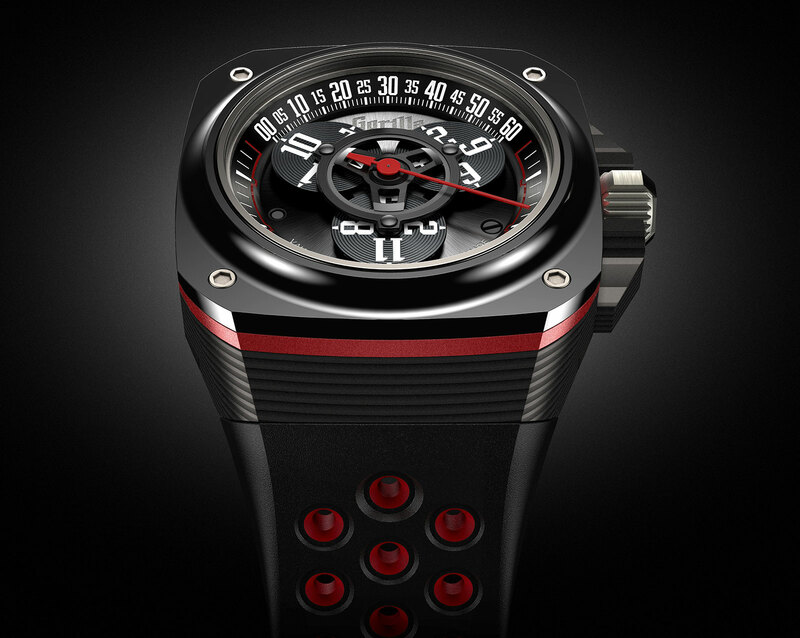 Priced at under US$3000, it is powered by a movement developed by Vaucher. But the base movement is a low-cost ETA 2824 automatic, while the wandering hours display module is added on top by Vaucher, a movement maker mostly known for its pricey, high-end calibres, explaining the relative affordability of the finished watch. The movement has a 36-hour power reserve, the standard for an ETA 2824. At 44mm wide and 14mm high, the case of the Fastback Drift is nearly identical to other Gorilla watches, a chunky, squarish form with exposed screws on the bezel. 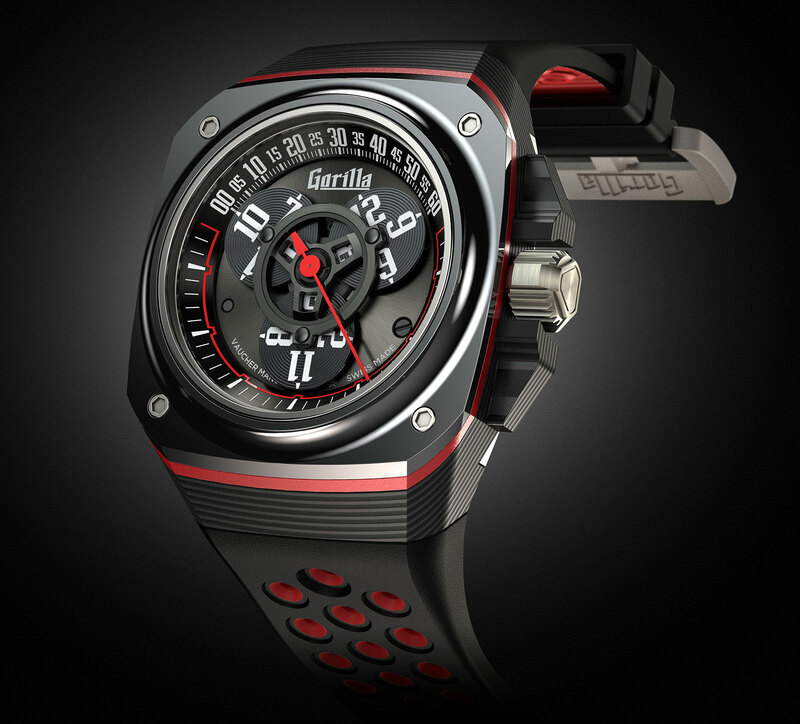 It’s made of layered carbon composite with a ceramic bezel, as well as red anodised aluminium and titanium. It’s rated to 100m and is fitted to a rubber strap. 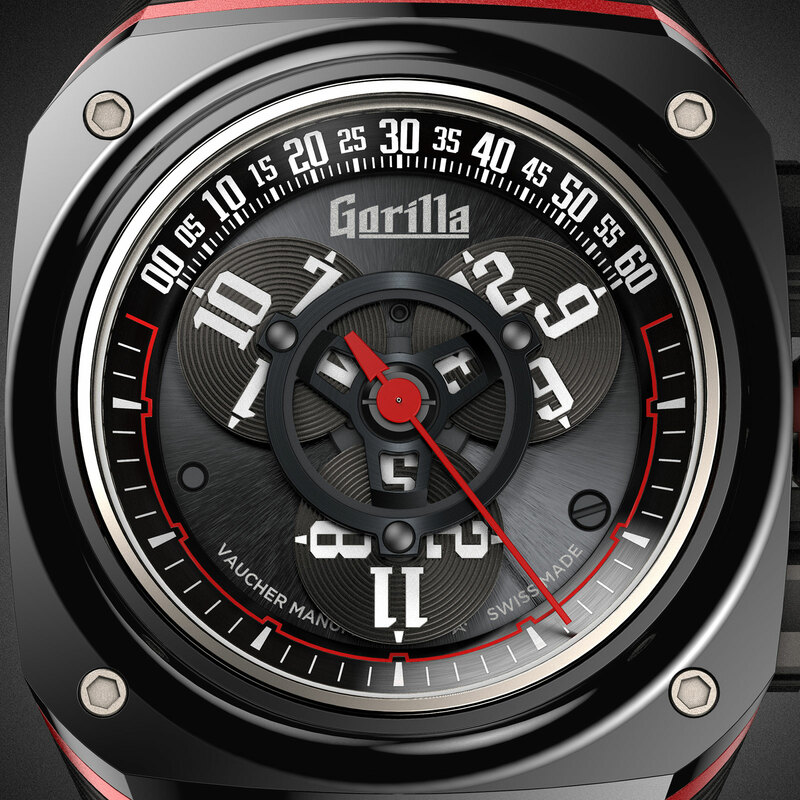 The Gorilla Fastback Drift is a limited edition of 250 pieces, priced at SFr2750 before taxes. It will be available for order starting August direct from Gorilla and also its retailers, with deliveries commencing November 2018.